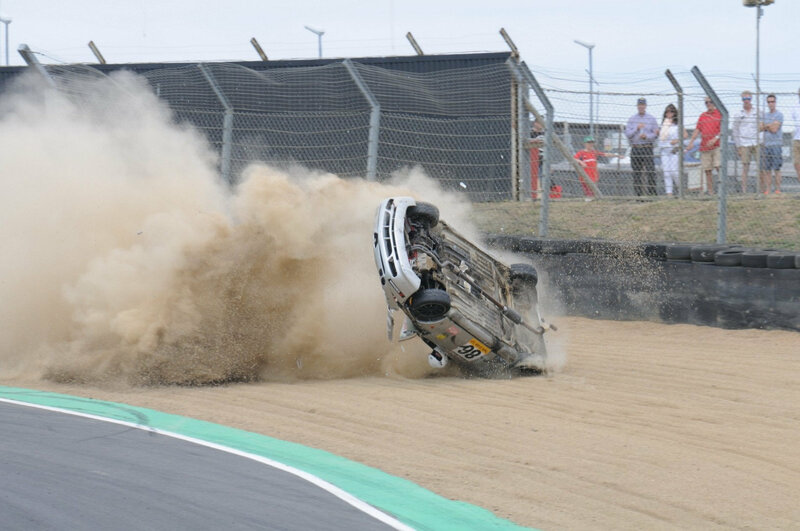 Incredible photos show the moment a British racing driver cheated death when his car crashed, flipped and rolled over, all while his head was sticking out of the window. 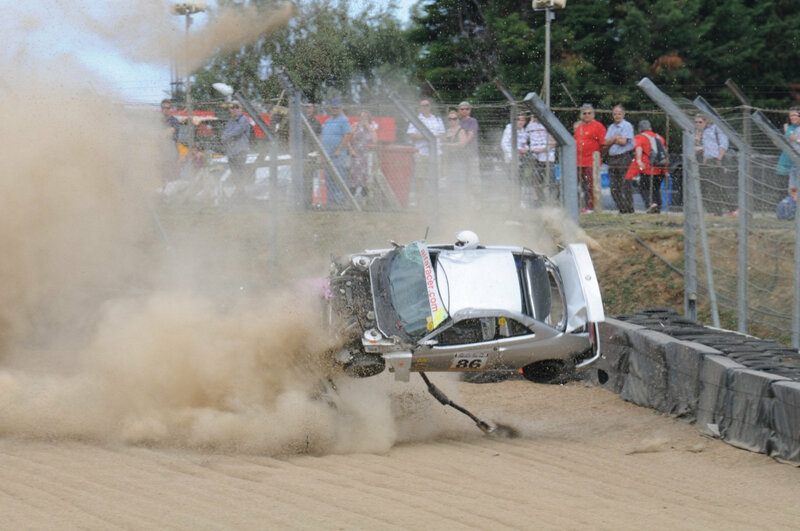 Andrew Bourke was doing a qualifying lap in the BRSCC Alfa Romeo Championship race at Brands Hatch in Kent, when his brakes suddenly didn’t work going into a corner and he clipped a competitors’ vehicle while driving at 130mph. His Alfa Romeo GTV went into a terrifying spin, with the force pushing his helmet out of the window. His head can be seen dangling out of the window as his car rolls over several times before crashing into the safety netting. 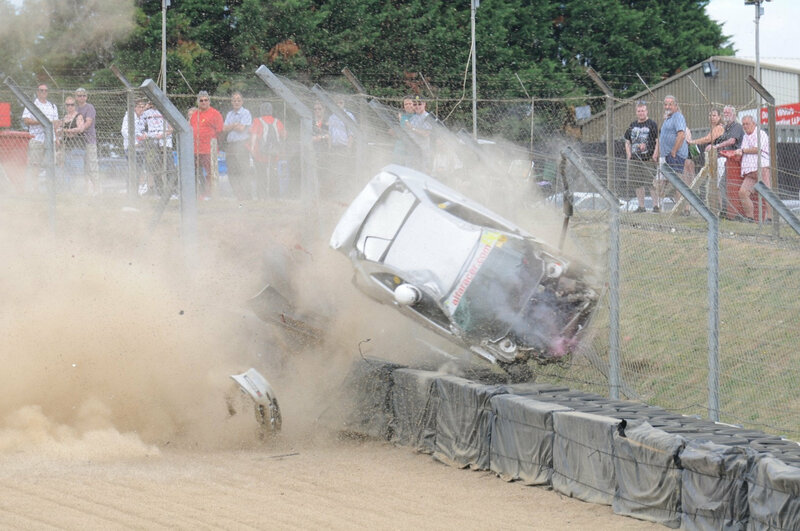 Miraculously, Andrew, from Corby in Northamptonshire, walked away from the incident completely unhurt. It was the fastest part of the circuit and he had already flipped into the air and was rolling when he came into my view. The fact that his head was out of the window makes it all the more scary. 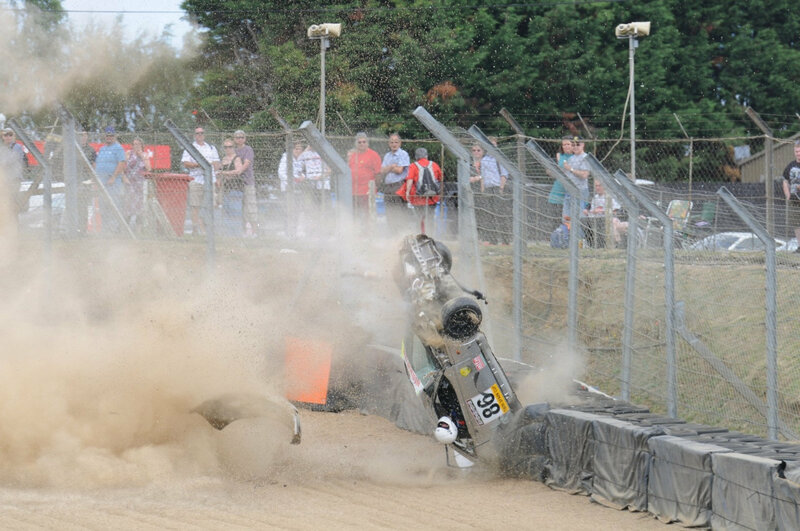 It was absolutely incredible that he got up and walked away. I thought he would be stretchered away at least, but he appeared to be fine. We’re just glad he’s okay, it looked like an absolute horror-show to say the least.